Founded by woodwind virtuosos Daphna Mor and Nina Stern, EAST OF THE RIVER returns to 5BMF this spring with their new program SULTANA: Music of the Sephardic Diaspora. 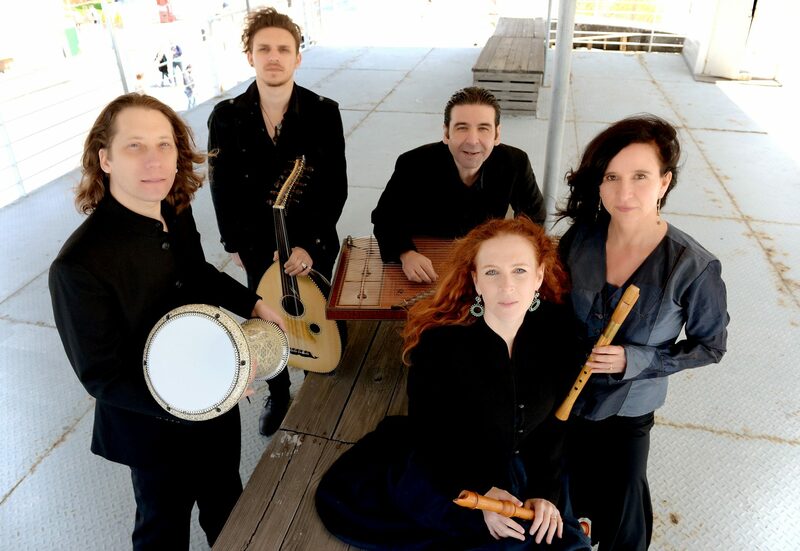 Internationally renowned for their explorations of traditional repertoire from the Balkans, Armenia and the Middle East, as well as gems of the Medieval European classical repertoire, East of the River has been featured at venues and festivals around the country including NYC’s own Bargemusic, Joe’s Pub and Le Poisson Rouge. SULTANA is a transporting journey through bazaars, kitchens, dance circles, prayer houses, and public squares. Mor and Stern literally breathe life into ancient forms, braiding together the rich musical traditions of the Sephardic Jewish diaspora through North Africa and the Ottoman Empire, inflecting the music with infectious Eastern rhythms, and uniquely steeping their performance in the art of improvisation. The program is inspired by the experiences of Mor’s own Sephardic great-grandmother, Sultana Magrisso, who emigrated with her family from Bulgaria to British Palestine in 1944, traveling through Greece, Turkey, Syria, and Lebanon. Her voyage, and those of expelled Jews that date back 450 years prior, inform this moving performance. 2/3 to Grand Army Plaza; Q/B to 7th Avenue/Flatbush; R to Union St.